On this episode we discussed the question of “what matters more when shopping for beer, price or convenience?”. 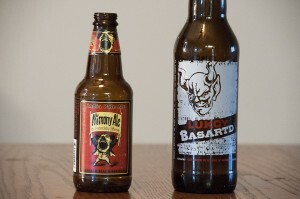 And then we had the pleasure of reviewing Buffalo Bills Brewery Alimony Ale and Stone Brewing Co. Lukcy Basartd Ale. Posted in Blind Taste Testing (2011 - 2013) and tagged Ale, Alimony Ale, Buffalo Bills Brewery, Hops, Lukcy Basartd Ale, price or convenience when getting beer, Stone Brewing Co, WTF? Stone.